Silver seashell necklace handmade by The Metal Press in Pembrokeshire! 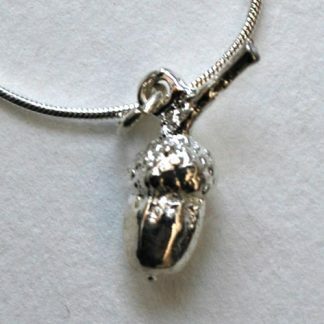 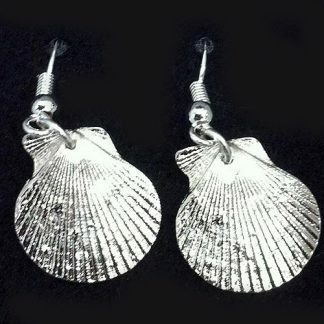 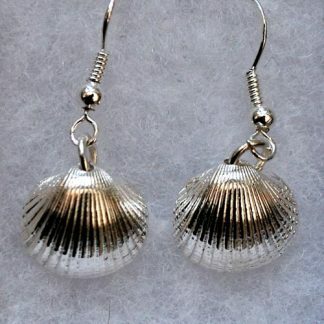 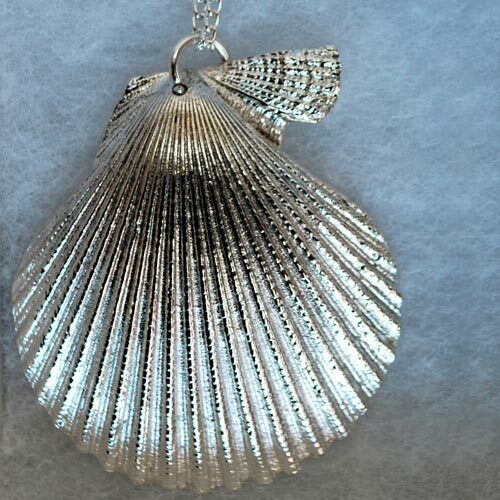 Large fan shell cast in pewter and silver-plated. 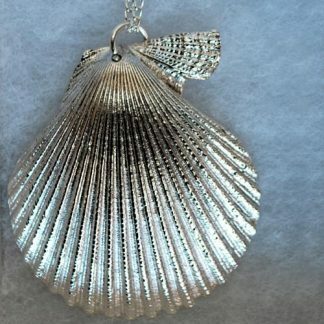 Supplied on 18 inch 2mm snake chain. 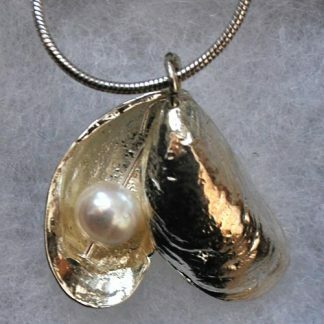 a classic seashell with a lovely shape and beautiful detail, perfect for any ocean lover. 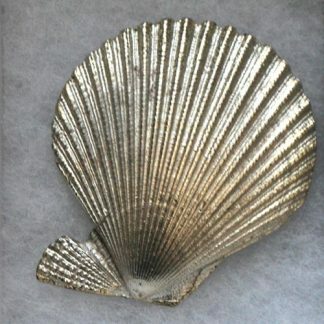 Found by Harry and Oska on Wiseman’s Bridge beach, Pembrokeshire.